Brown ground beef. Fry and crumble bacon. Drain lima, kidney, and butter beans. 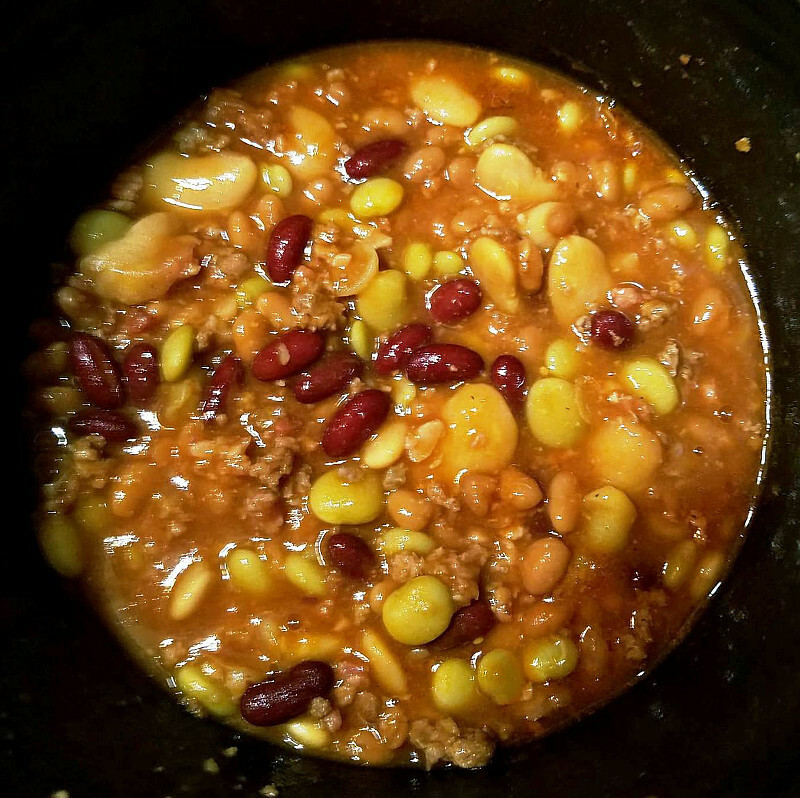 Combine all ingredients in crock pot. Simmer on low for 3 hrs. Enjoy!